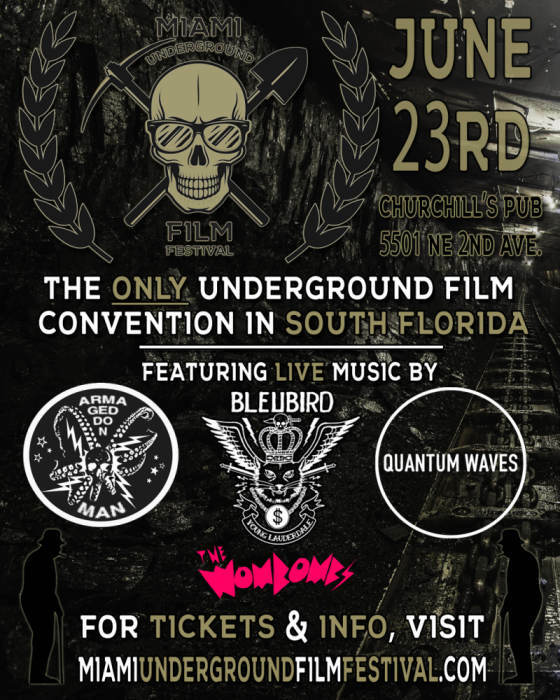 Our evening begins with a most eclectic and bizarre variety of local shorts, docs, animation, and music videos projected on the big screen, followed by the Circle-Jerk Awards ceremony, MUFFtalk guest lectures, and a whole slew of live bands. LaVey Laveau "Chopin Nocturne Magnum Opus 9,#1"
Can't get out of bed before sundown? We'll be re-screening the films on a loop for the duration of the evening in the Green Room--for those of you seeking a more intimate viewing experience. The rest of us can get blitzed and rage out to music curated by the badasses at tuffgnarl.com all night long!